This addition-alteration project aimed to re-plan the front section of the house to create a more welcoming entrance and keep vehicles away from the front door, replacing car parking with a landscaped garden instead. 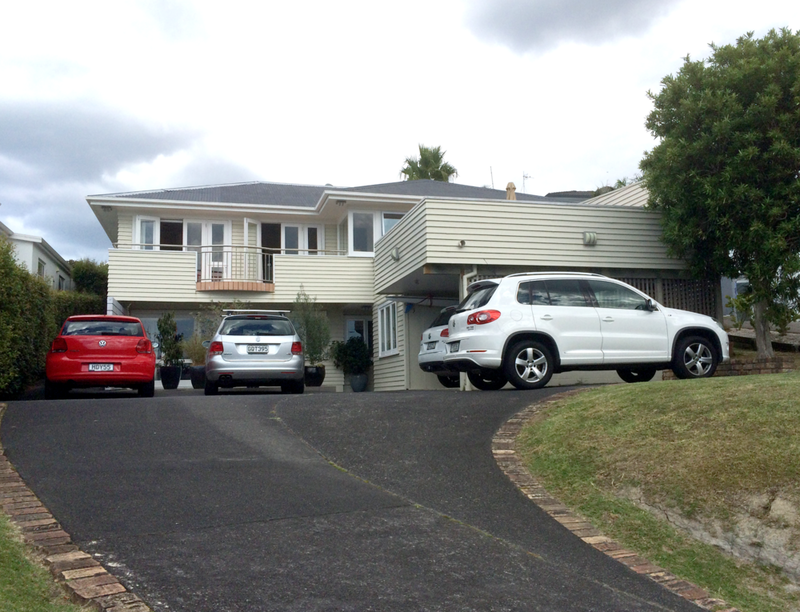 ‘Before’ photos show parking spaces on both sides of the site which dominate the house. Stephen Matthews Architects extended the existing house to provide a double garage which reduces the number of cars visible when approaching the property, and a covered walkway providing shelter when approaching the front door. 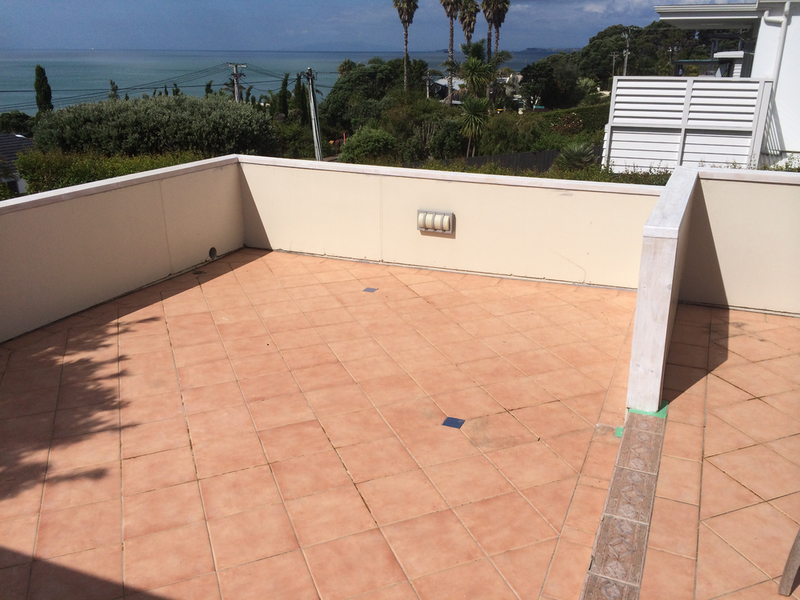 The existing first floor outdoor living area has been renovated to modernise and extend the space, maximising the views out towards the Gulf, and the entire house has been painted to update the property.